Years ago I read an engaging book entitled “Alone On The Great Wall” by William Lindsey, a British long-distance runner. Lindsey was determined to become the first foreigner to run the entire length of the Great Wall of China. Wow! I have visited the Great Wall almost a dozen times over the years. Every time I have stood on the wall its magnificence and magnitude have taken my breath away. Lindsey completed his remarkable feat of endurance in 1987. Since then, he has become a key advocate for the conservation of the wall and its environs. In the opening paragraph of his book Lindsey wrote, “My experience is that unless you make a commitment opportunities pass by.” He is absolutely right. Lindsey added that life seemed full of people who talked about achievement but never did anything more adventurous than staying home. Today was “fish or cut bait” day for me and Doyle. 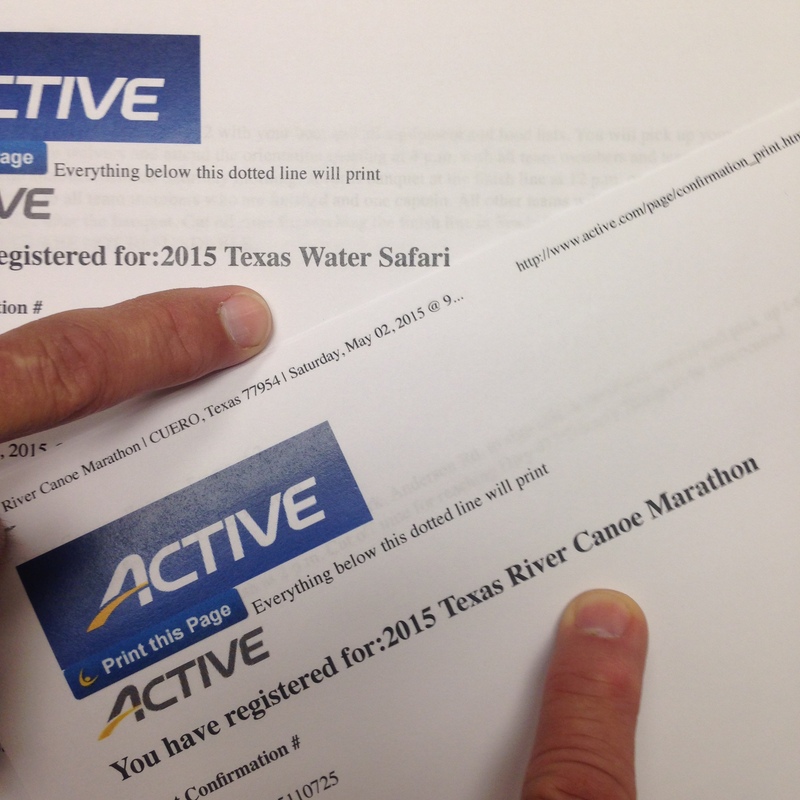 We have been talking for months about doing the Texas Water Safari again in 2015. We have even managed to schedule some training runs on the river. But today, we actually signed on the dotted line and registered for the Texas River Marathon (the preliminary race) and the Texas Water Safari. We are all-in and there is no turning back. After we submitted our registration and payment, everything felt different. Signing up for these two races makes it all the more real. And, we are all the more determined to train for the safari as much as we can in these final weeks before the starting gun goes off at Aquarena Springs in San Marcos. We know we still have lots of work ahead of us, including meetings with our team captains (our daughters), working on our split times, tweaking a few things on our canoe, and planning our nutrition schedule. As I shared in a previous blog post, we are also very excited about paddling with a purpose. We will paddle to raise support to help at-risk kids in Houston’s Third Ward get the educational boost they need at Generation One Academy. My daughter Niki has set up a page where we will ask family and friends to invest in helping these kids. 100% of everything invested will be used to help the children at Generation One. Together we can help change the future for kids living under tough circumstances. You can check out our page at Reason2Race. 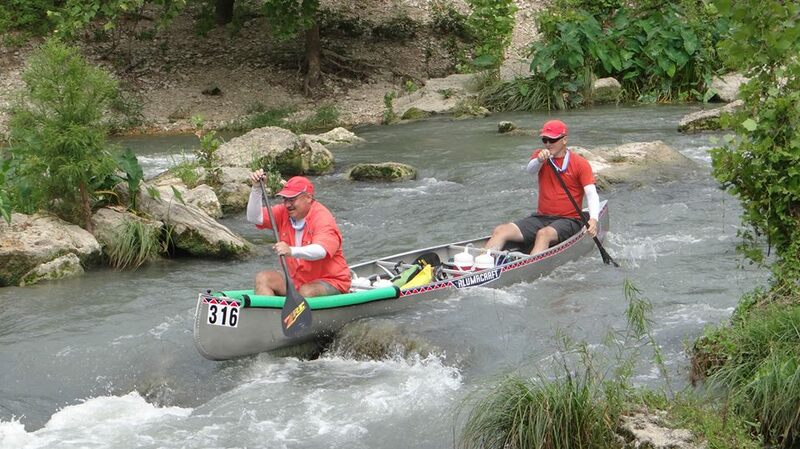 Thanks for once again following our journey of preparation to do the 2015 Texas Water Safari. You can also follow our team on Facebook/LoneStarPastors. More to come.